Pet friendly offices: Why bring your dog to work? 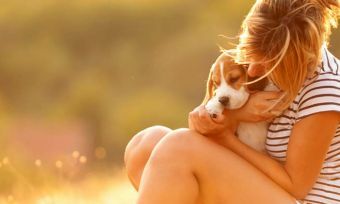 Australia is a nation of pet owners and for some of us, having our pet at work is a terrific value-add for both ourselves, our pets and our workmates. Canstar caught up with three businesses that have thrived in a pet-friendly environment. 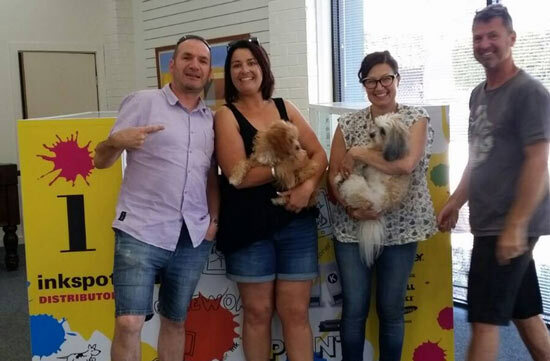 Vincent Teubler, Director of Inkspot Franchising Pty Ltd, runs a plant and pet friendly office and warehouse with dogs, lots of fish – and an indoor garden and pond. Q: When did the business first become pet-friendly? A: Inkspot was always relatively per friendly after we moved house some seven years ago and the new house didn’t have room for my fishtank tank. The fish came to the office along with Jack the Mangrove Jack (fish) and sole occupant of the tank. Everybody loved him. We became dog-friendly after we got a new puppy (Loui) some five years ago, we bought him into the office and he has been coming to the office every day since. Everyone else at the office /Head Office now randomly bring their dogs in. Q: What are the benefits to both your staff and the pets in having a pet-friendly office? A: Fish are a nice talking points in the boardroom – they help break the ice. As for the dogs, everybody in the office has their own special relationship with Loui. He spends different times of the day wandering from person to person. Everybody has a personal bond with him. He sleeps on everybody at least once a day. He calms everybody in what can be a hectic environment and gives everybody multiple mini-breaks during the day. He even comes into the boardroom during meetings and sits on one of the chairs. All our clients and suppliers know him and many of our surrounding office and warehouse staff and owners drop in to visit him. Even the postman stops to come in and gives him a scratch and a treat. He is like social glue! Q: Are there any downsides? A: None really. Occasionally he will bark at a dog that passes the office front windows too close – but that’s his job. Q: What type of supplies should workplaces ensure they have for their pet visitors? A: He obviously gets a lift in to work from us so early on there were days where we would have to improvise a leash to take him for his morning constitutional. We keep a leash in the office now for walking him. The kitchen always has a bowl of dry food and water for him and any other canine visitors. We also keep a little bag of toys in case he gets bored – although we do all chase him around when he gets in those playful dog moods. As for the fish, they are more hard work than having a few dogs. Cleaning a 750 litre fish tank can take a while and has to be done at least monthly. It’s a good hour’s work and needs to be done on the weekends when the hoses and buckets won’t distract staff or visitors. According to Sally Cannon, Marketing Manager for Forrest Marketing Group, the office just would be the same without Office Dog Jess. 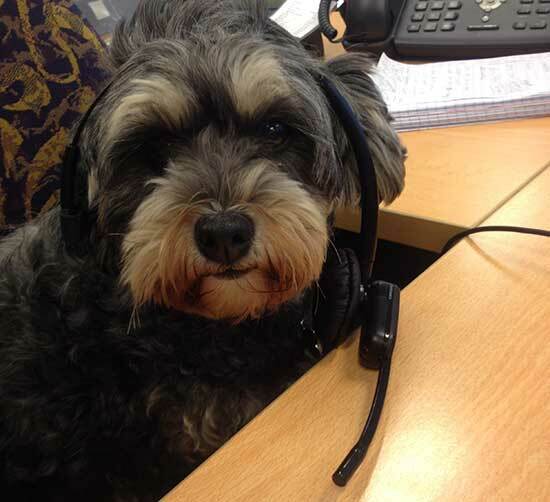 A: Jess our ‘office dog’ really brings the team together and adds a family feel to the office. Everyone feels responsible for Jess and this flows on to everyone feeling responsible for each other as a result. The office wouldn’t be the same without Jess as a part of it. In fact if she doesn’t come into the office (if it is school holidays or her ‘mum’ is away) everyone is concerned and asking for her! 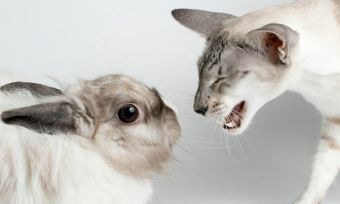 Q: How do you manage pet etiquette? A: Jess’s ‘mum’ provides most of the things that Jess needs (water bowls, food bowl, lead for walks etc). We do have a balcony so she can get fresh air between walks and this has shade for her. I would suggest as long as the basics are there and there was an option for a couple of walks during the day that any office could be pet friendly as long as the pets that come in to work are ‘house trained’. Online wine retailer Vinomofo describes itself as a dog-mad friendly office. 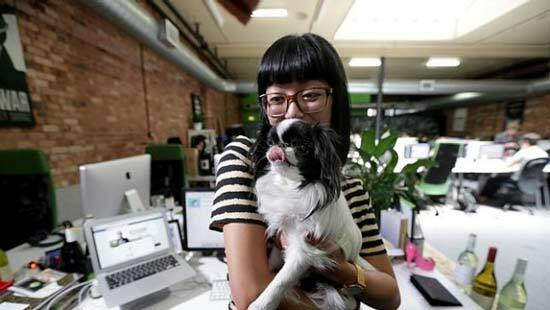 Rosa Nguyen, Social Media Strategy + Partnerships Lead at Vinomofo, was the first (of several) to bring her dog to the office. Q: What are the benefits in having a pet-friendly office? 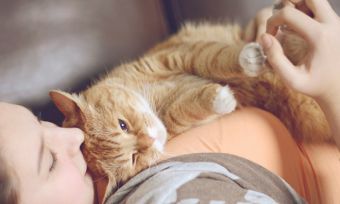 A: For the pets it means they’re not alone for 8 hours a day and are showered with love. They get to meet new people and have fun and they’re in a safe and accommodating environment. For the staff the benefits include exercise and fresh air (they need to take the office dogs out for short walks and toilet breaks). It’s also fun and relaxing to play with the office pet during breaks. It contributes to a more positive and calming work environment and it can break the ice between colleagues/visitors and create a bond. A: Nope! You just need to make sure that you have a suitable dog for the office environment so they won’t be a disruption and cause trouble. A: The pet owner is responsible for toileting the office dog (3-4 times a day) and permission is always needed when an employee wants to bring in their dog. It’s important to know when that the dogs present in the office, at any given time, won’t be fighting. Each pet has a designated area and if necessary, needs to be leashed. Every pet that comes into the office has to be ‘the right fit’ for the office environment – they need to be friendly, toilet-trained, obedient, non-yappy with a relaxed personality. A: A safe, designated area for them to sleep, relax and hang out (accompanied by a bowl of fresh water). Their owner/carer also need to keep an eye on them if they’re prone to escaping – if that’s a case, they will need to be on a leash. The owner/carer also needs to be mindful of exits! A pet-friendly office can make economic sense! Staff turnover, absenteeism and stress can be a significant productivity issue that impacts business profit – so a recent US-based study should give business owners reluctant to embrace a pet-friendly workstyle paws for thought. The recent study of 1006 employees and 200 HR decision makers in the USA found that 90% of HR decision makers at pet-friendly companies say that both employees and executives view the policies positively, citing improved morale, reduced stress, greater company loyalty and improved work relationships among a number of benefits. That has to be good!